Come and join us at our regular services held each Sunday at 10:45 am. Other times and venues shown in heavy type. You will receive a warm welcome and you are invited to join us for tea and coffee after the service. April and May retiring collections are to be in support of Blood Bikes. They aim to provide a totally free but professional voluntary service out of normal working hours for the transportation of urgent and emergency items, e.g. 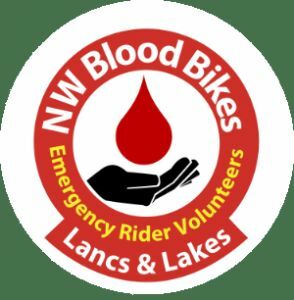 blood, platelets, samples, donor breast milk, patient notes, theatre equipment, in fact anything that can be carried by motorcycle solely for the benefit of the publicly-funded emergency services and their patients in NHS hospitals. They provide this service through the night and 24 hours a day at weekends and bank holidays, enabling hospital funding to be spent on patient care. The operation started in May 2012 and the number of callouts is growing exponentially. At 10pm on Tuesday 12th February 2019, exactly 6 years 10 months and 10 days since they started operating they received their 60,000th callout. Your support for them will be very much appreciated -- and you never know when you might need this service to help you or a member of your family! at Churchtown URC, 10am on the first Friday of every month. This is an opportunity for you to spend 30 minutes in contemplative prayer and meditation. Feel free to join Janice Atfield for some spiritual renewal.